The chief culture officer is deemed as the most likely future HR leadership team member, cultural change is the second most important business priority and culture is a top three attraction factor for HR leaders considering a job move, according to a survey of 800 global financial services HR leads. Chief culture officer is cited by 28% of respondents as the most credible leadership role directly reporting to the chief human resources officer (CHRO) in the next three to five years. Far harder to replicate by competitors than any product or service, culture presents an opportunity for HR to lead from the front and is not only a risk manager against sins of the past but also a strategic weapon in the war on talent, says headhunter Leathwaite, which conducted the research. Chief digital officer came second, with 21% of the vote, and HR chief data officer third. Culture change, digitisation and talent acquisition are the top business challenges facing financial services companies, showing the sector may be moving away from defensive practices such as cost reduction and regulation to those underpinning growth and positive organisational change. Talent acquisition jumps from 10th place last year to third this year. Culture change, cited by 16% overall, is the top business challenge in asset and wealth management (22%) while digitisation is the biggest challenge in universal and retail banking (31%) and talent retention in corporate and investment banking (20%). CHROs in insurance are most concerned with disruptive competition (19%) and this sector is most affected by continuing headcount rationalisation (17%). Regulatory change, the second highest challenge last year with 17% of respondents citing it, has fallen to seventh place this year while Brexit makes an appearance for the first time, with 7.2% believing it is the biggest challenge. HR remains a function under pressure, however, with fewer than 20% of respondents predicting increased HR headcount for the year ahead and 38% predicting a reduced HR headcount. In keeping with this theme, 84% of HR professionals polled believe that HR budget will be “flat” or down on last year’s number. “Last year’s survey was bleak reading, with HR directors executing plans related to office closures, cost and headcount reductions at the same time as facing their own cost and headcount challenges. It didn’t really inspire the CHRO to get out of bed in the morning. This year’s shows financial services is still not out of the woods – there is still work to be done on cost – but there are signs of the green shoots of recovery, with 16% expecting an increased HR budget, more than double last year,” says Leathwaite director of global HR, Chris Rowe (pictured). 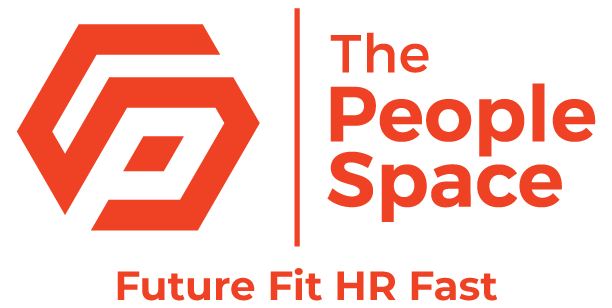 Former Olympic, World, European and Commonwealth Games Champion Sally Gunnell, who is speaking at an event discussing the findings being run by Leathwaite in partnership with ThePeopleSpace, says it is reassuring to see how much emphasis is being placed on the importance of workplace culture. “It clearly shows that companies appreciate that competitive pay structures and opportunities to advance your career are not strong enough to help them make headway in the war for talent, unless they are built upon the foundations of an authentic corporate community that individuals are genuinely drawn towards. “In business, as in sport, teamwork and a winning culture will always win the day. Whether people are operating in a standalone specialist role or a large-scale people management position, HR has a position of significant responsibility and influence in providing the values, norms and behaviours to make these people equally successful,” she says. Data is tipped as the fastest growing area of HR in the next five years, followed by employee engagement, organisational design and diversity and inclusion. Some 94% of respondents have undertaken (or are planning) a core HR technology platform implementation this year and the rise of emergent HR technologies, such as artificial intelligence (AI), joins the rise of the gig economy/flexible working and regulatory impact on compensation as the top three trends having the greatest influence on the work HR carries out as a function. Most HR professionals see technology as an enabler, rather than a threat, however, as just 2% feel AI and robotics will be a material threat to the work they do in the next 10 years. The research was undertaken with more than 800 global HR executives operating in leadership roles including CHRO, head of specialist functions such as talent and reward, and those at the vanguard of HR transformation, such as HR chief operating officers and heads of HR analytics. 01 Chief culture, data or digital officers: who is most welcome at the HR table?